Animal prints aren’t only big on the runway and in clothing stores, they’re also insanely popular in the baking and candy-making world! CK Products stays current with the hottest animal prints of your favorite safari animals in our impression mats, baking cups and more. Add texture and dimension to rolled fondant, gum paste and buttercream with CK Impression Mats. When it comes to safari animals, we’ve got zebra print, leopard print, giraffe print, and tiger print. Impression mats are an easy way to spice up your cakes! One of the easiest ways to add some jungle fun to cupcakes is with sugar layons. 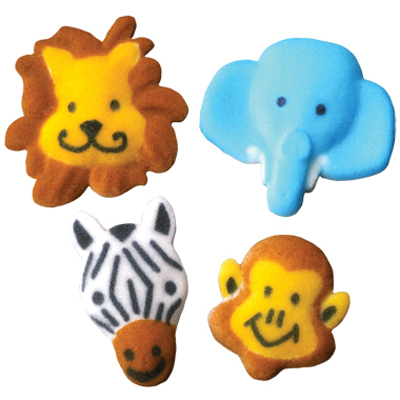 Jungle Animals sugar layons are approximately 1.5″ and come in packages of eight. The Zoo Animals assortment not only includes safari animals like gorillas, lions, elephants and zebras, but koalas and penguins as well. With transfer sheets you can easily transfer animal prints onto your chocolate pieces! Go for a gold leopard print or a cream leopard print, white tiger or white zebra. Great for filled chocolate pieces, cake accents and more! Zebra-stripe baking cups make the base of the cupcake the wild animal! Even simple white or black buttercream will be enough with these baking cups. The fun is in the wrapper, so keep it simple on top. Wrappers are available in black, hot pink, pink, orange, red, green, and pink & black. 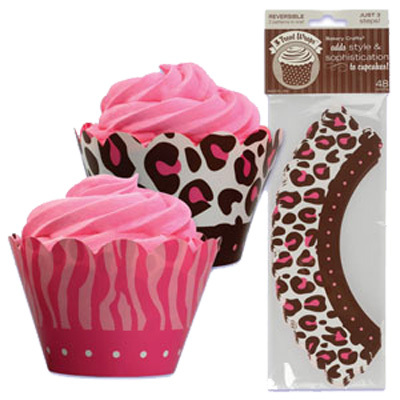 If you really want to get fancy, use a plain baking cup but surround it with a reversible pink tiger/leopard Party Wrap. Top with some pink icing and things will really get wild! 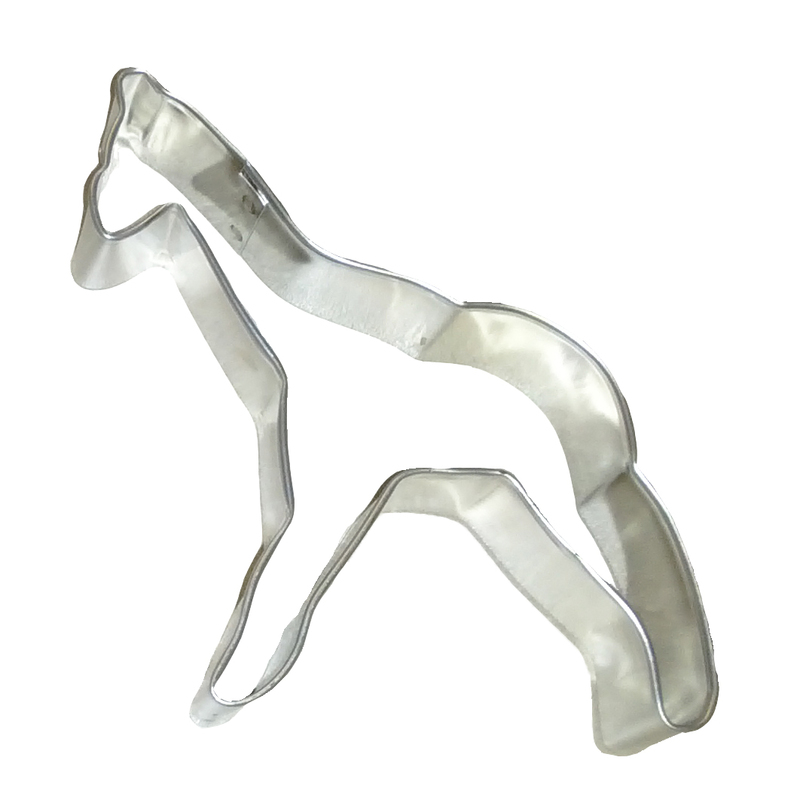 Lions, tigers and elephants are just the start of the wild animal cookie cutters we offer at CK Products. Decorate them with your favorite royal icing or candy writers to make the details that will make your cookies come to life.